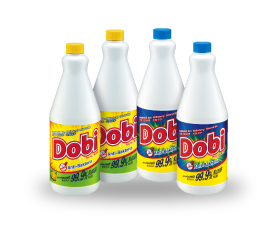 Since the beginning, Dobi has improved cleaning in every household – delivering an affordable and effective way to do so. Sometimes it is difficult to remove tough stains that persist even after being machine washed. 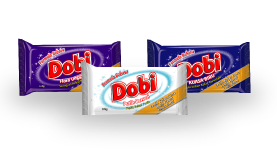 Thanks to Dobi Bar, the stubborn stains underneath the white collar and sleeves would vanish easily. 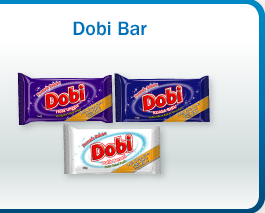 Dobi Bar also makes it easy to wash shoes without any issues. Dobi has developed bleach with functions including a multipurpose solution for tough stain removal from fabrics to bathroom titles and basins. 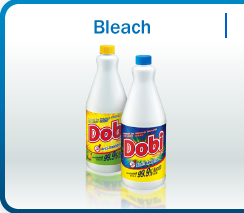 Dobi Bleach contains extra power to kill 99.9% germs.